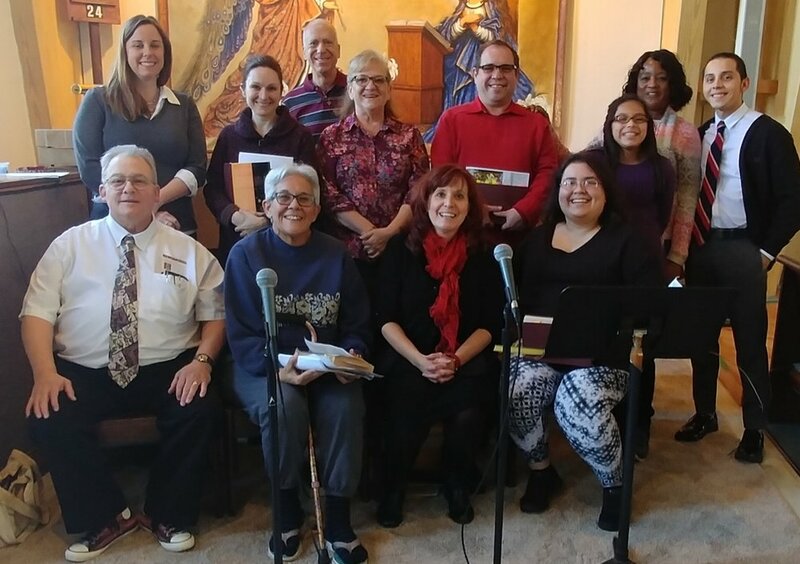 Our all-volunteer members and musical director select music for the liturgies, practice singing and playing the music, and then offer the music for all weekend liturgies. A little musical knowledge is helpful, but the only real requirements are a love of singing praise to the Lord, practice, and a good sense of humor! We also welcome anyone with instrumental talents such as keyboard, flute, trumpet, guitar, or violin! Members may also volunteer to help at special liturgies such as weddings, funerals, children's pageants, etc. Members include singers as young as 7 years of age and up! Choir practice is currently held on Thursday evenings at 6pm.